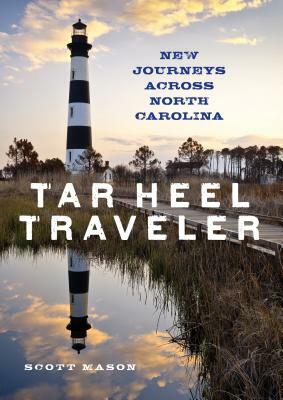 A blend of oral history and memoir with a good dose of quirky humor, Tar Heel Traveler: New Journeys Across North Carolina is a celebratory look at the people and places of North Carolina. WRAL-TV reporter Scott Mason--the Tar Heel Traveler--profiles colorful characters and out-of-the-way places. The sequel consists of all new material and showcases twenty-five of Mason's most memorable television stories along with the amusing stories behind each. Scott Mason has been a television reporter for 30 years and WRAL's Tar Heel Traveler since 2007. His more than 100 journalism awards include 14 regional Emmys and three National Edward R. Murrow awards, one of broadcasting's highest honors. He has twice been named North Carolina Television Reporter of the Year. He lives in Raleigh, North Carolina.